The email notification settings have been improved in this release. The email notification settings are now more intuitive and visually categorised, making them easier to find. 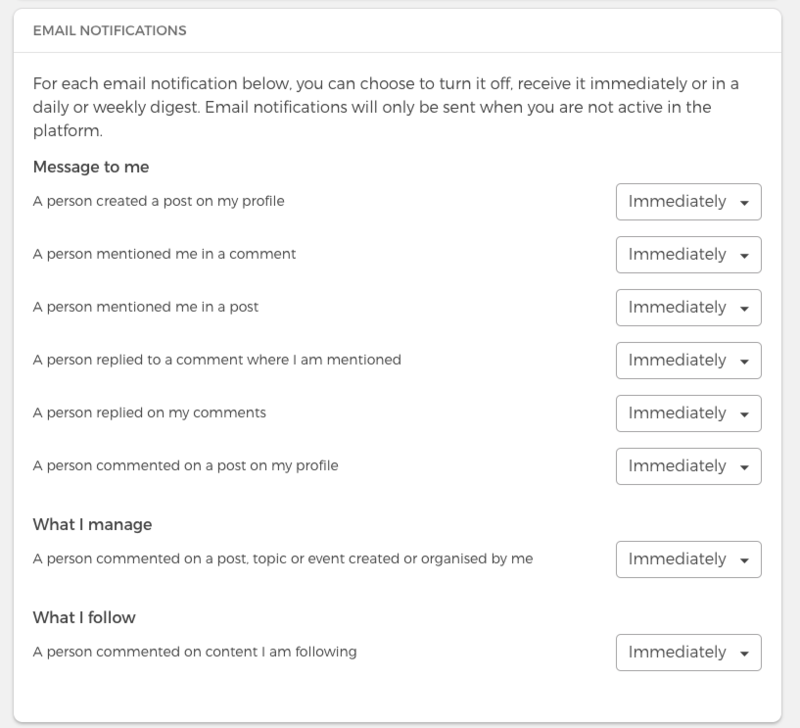 Furthermore, users now have more configuration options in the email notification settings. They can choose to receive notifications immediately, daily, weekly, or not at all (previously, it was only on and off). This gives users more flexibility to adjust email notifications according to their needs. 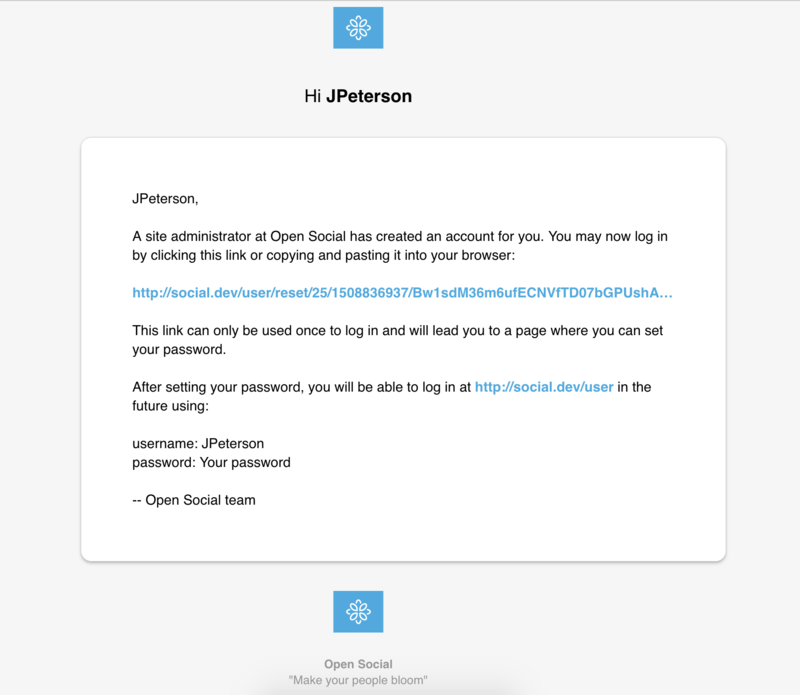 When an account is created, a notification email is sent to the corresponding user. This was the only type of email that did not have the platform style. In this release, the platform style was applied to this email type as well. This helps the email look more trustworthy and visually attractive to new users. Site managers are able to view and manage closed groups again. Removing buttons in the top area of the home page before logging in won’t cause problems anymore. The problem of not being able to create a drop down menu in the header menu has been fixed. All notification emails have the correct links in them now, so the corresponding content can be easily reached. It’s now possible to properly align images with caption texts (left, right, and center) in the description field of a topic, event, book, and basic page.